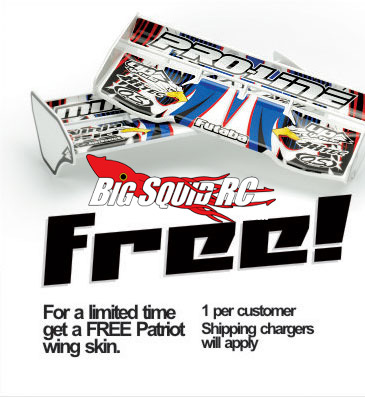 Put Some Color on that Wing with a Free Skin from Upgrade RC « Big Squid RC – RC Car and Truck News, Reviews, Videos, and More! 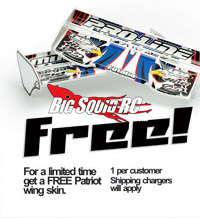 Again with the free stuff, Upgrade RC is offering free wing skins! Dress up that boring single color wing and flare it out a little with their custom skins. Click over to Upgrade RC and put your order in!